Thanks to Diamond Veneers for providing me with some free earrings to review. It's not a secret that I'm a jewelry lover (as most women are.) I love all different types of jewelry, but I especially love things that sparkle. There just isn't anything like having the sun hitting you, and seeing the colors illuminating everywhere. Before contacting the Diamond Veneer company, I had never heard of a company with products like there's. See, Diamond Veneer are something new. They start off as Cubic Zirconia - But then they are treated with a film of carbon diamond particles. So even though the Diamond Veneer are truly Cubic Zirconia, they have the sparkle of a real diamond. 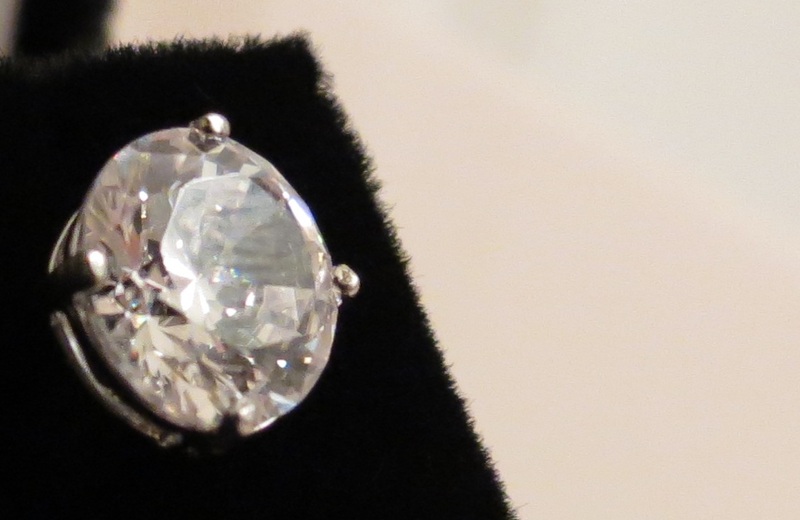 This is a brand new concept that will definitely be taking huge strides in how cubic zirconium jewels are looked at. 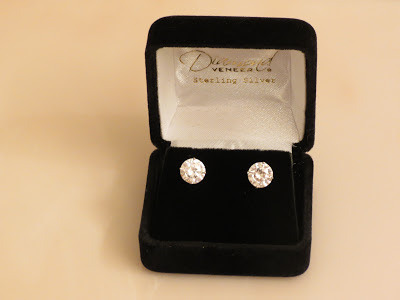 For my review I received an incredibly gorgeous pair of 4 CT Studs. The picture I have, really does not give these earrings justice. I'm not a gemologist or anything, but I can tell you that I personally, would definitely not be able to tell the different between the Diamond Veneer and a real pair of diamond earrings. My camera has really good focus, but I could only get it to focus on one earring. It's because when the light hits the earrings, the sparkles are just everywhere, and my camera just couldn't get a good focus of both at the same time. Really though - That just proves how magnificent these are! As you can see, the sparkle is there. The earrings are a great addition to any outfit, as they can ad that extra bit of class. I mean honestly, I felt like a million bucks while I've worn them - It's so amazing that a simple pair of stud earrings can completely boost your confidence. With the holiday season coming up, I would highly suggest looking into Diamond Veneer. You can get the real look of diamonds without paying the price for real diamonds. 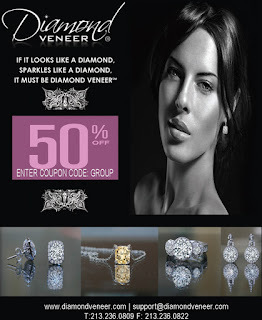 And if you hurry (before December 29th) you can get 50% off of your order by using the coupon code "GROUP"
You can connect with Diamond Veneer on Facebook. Disclosure: Review product was provided to me free of charge. All opinions expressed within this review are my own, and were not influenced in any way. I checked out the website and fell in love with a few rings (Tiffany Style) more my range - They are exquisite! I love sparkly jewelry also--the very fact that you could not get a great pic says it all--they sparkle!! those are pretty! 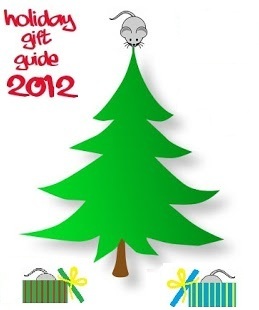 Nice gift! These are beautiful! I will be ordering before the discount coupon expires! Checking my Christmas list and making notes of items wanted. Those are just gorgeous! I so want one! Those are so pretty! 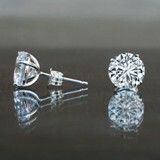 I love diamond stud earrings, They are so timeless and chic and go with pretty much any outfit! These are gorgeous! I would never have guessed they weren't genuine! I choose veneer over an expensive diamond. I'm not into spending thousands on a ring. I couldn't be happier with my veneer. My husband was shocked when we got it and not to mention the money we saved.I wear it all the time and it's just as gorgeous as the day we got it. We used the money saved to go on a cruise. Totally worth it.. So ladies check out the site. You won't be disappointed..
My husband and I choose veneer instead of an experience diamond. Couldn't be happier with our choice. It's gorgeous and I get so many compliments on it. And with the money we saved. We went on a week long cruise, totally worth it!